Find A Grave Memorial# 82447365. Year: 1920; Census Place: Birmingham, Jefferson, Alabama; Roll: T625_24; Page: 13A; Enumeration District: 68; Image: 711. Source: John D. Helms, JDHELMS@webtv.net, Feb 1998. Registration State: Alabama; Registration County: Jefferson; Roll: 1509396; Draft Board: 3. 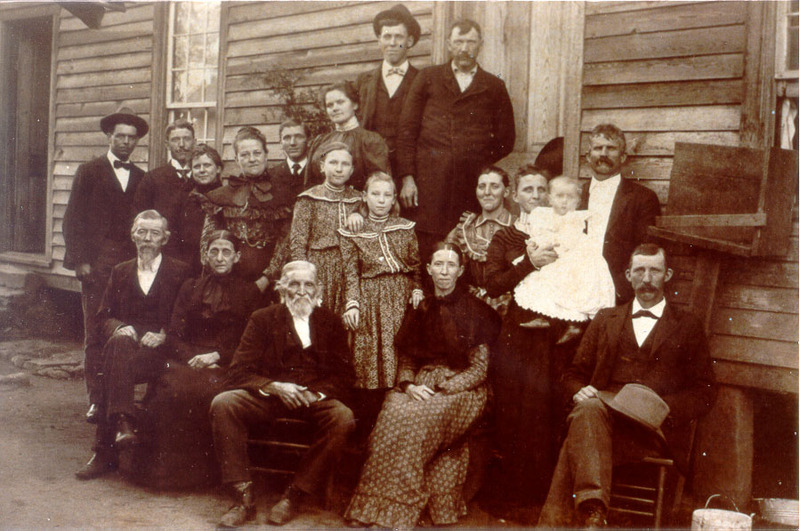 "Alabama Marriages, 1816-1957," index, FamilySearch (https://familysearch.org/ark:/61903/1:1:FQ4B-FY1 : accessed 19 May 2015), N. G. Culpepper and Ollie May Pyle, 25 Dec 1914; citing reference p 454; FHL microfilm 1,064,435. Ollie M. Culpepper, Wife, F, Wh, 22, md, AL/GA/AL. Virginia L. Cumbers, Sister-in-law, F, Wh, 9, sng, AL/GA/AL. Nathan G. Culpepper died 4 Feb 1943 in Jefferson Co., Alabama. Lew: Ida Cumbus is Ollie (Olive) May Pyle's younger sister. In the 1920 Birmingham, Alabama census, Henry Pyle and his daughter, Ida, were living next door to Nathan G. and OllieCulpepper. Ida lived withtheir father, Henry, for several years in Birmingham after their mother's death. Ida worked as a telephone operator for Southwestern Bell from 1918 to 1927. She married Cumbus about1920. Her daughter, Virginia, was born in 1921 and worked as a waitress as a young adult. Ida next married Jackson Handley. Her daughter, Virginia Cumbus, was living with Ida and Jackson in the Birmingham, Alabama 1940 census. Alvin Comer Culpepper, 2317 30th Ave N, Birmingham, Jefferson Co., Alabama, age 19, born 12 May 1899, Caucasian, Employed as an Auto Mechanic by George T. Wilson of 1908 Avenue D South, Jefferson Co., Birmingham, Alabama; Nearest relative: wife, Bessie Lee Culpepper of 2317 30th Ave N, Birmingham, Jefferson Co., Alabama; Medium height, Medium build, Brown eyes, Dark hair, No disabilities. Registered 12 Sep 1918 at Birmingham, Jefferson Co., Alabama. Marriage of A. C. Culpepper to Bessie Busby, Ancestry.com. Florida Death Index, 1877-1998 [database on-line]. Provo, UT, USA: Ancestry.com Operations Inc, 2004. + Catherine Fling Culpepper, 11 Aug 1855. Sarah? Culpepper, 2, F, GA.
Emma M. Culpepper and O. W. Albright on 05 Dec 1876 in Troup Co., GA.
ED 18, sheet 3, line 44, 646 District, Newnan, GA.
James E. Culpepper and Susie Scoggins on 30 Nov 1882 in Meriwether Co., GA.
Susie Culpepper, Wife, F, 56, md, GA/GA/GA. Randolph A. Malone, Malone and Allied Families, Ann Arbor, MI: McNaughton & Gun, Inc., 1986. + Alice McCoon Culpepper, 18 Feb 1886 – 7 Jan 1980. Alice E. Culpepper, d. 7 Jan 1980 at 93 years in Meriwether Co., GA; Res. 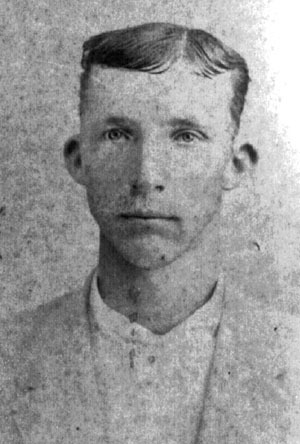 in Meriwether Co., GA.
+ John W. Culpepper, 9 Sep 1864 – 13 May 1937. John Culpepper, Boarder, M, 56, Sng, GA/GA/GA, Brick Mason. John Culpepper, Head, M, 67, S, GA/GA/GA, Brick Mason. 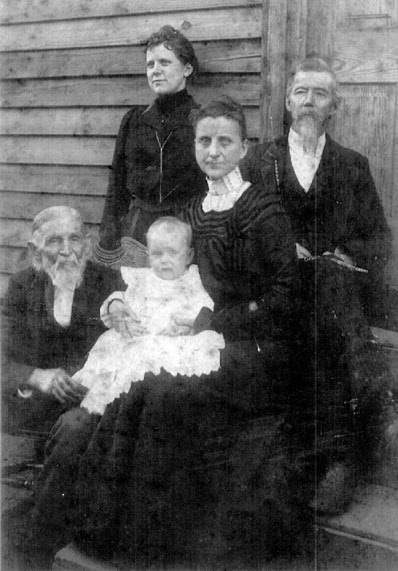 Jno W. Culpepper, d. 13 May 1937 in Meriwether Co., GA.
+ Warren F. Culpepper, 23 Sep 1866 – 17 Mar 1937. Warren F. Culpepper and Miss Cora Rosser on 15 Dec 1892 in Meriwether Co., GA, Book F-568. Cora Culpepper, Wife, F, Aug 1871, 28, md 6 yrs, ch 0/0, GA/GA/GA. Cora Culpepper, Wife, F, 35, md1-18 yrs, ch 0/0, GA/GA/GA. Cora Culpepper, Wife, F, 48, md, GA/GA/GA. Cora R. Culpepper, Wife, F, 58, M, md @ 21, GA/GA/GA. Warren Culpepper, d. 17 Mar 1937 in Meriwether Co., GA.
+ Cora Rosser Culpepper, 1871 – 1945.
p 54; date from obituary.